The unprecedented box office success of 1977's Star Wars: Episode IV A New Hope, and the ensuing pop culture phenomenon, took Lucasfilm by surprise. Fans had to wait nearly a year for the first action figures to appear. But as of 1978, an industry unto itself was born, consisting of Star Wars books, trading cards, magazines, video games and merchandise. 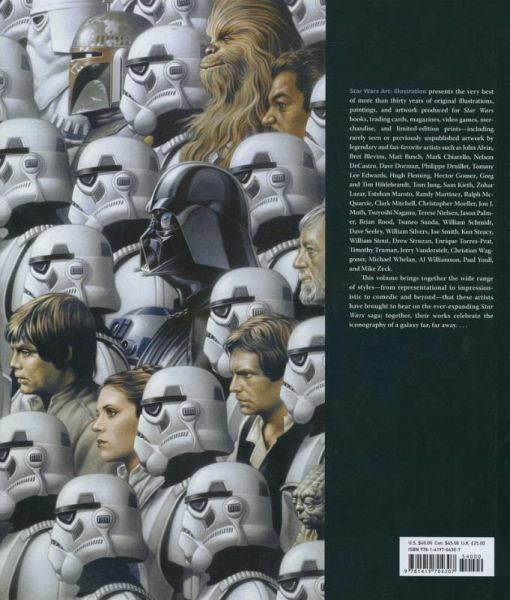 Thirty five years later, these printed book and magazine covers, trading cards and collector's items continue to expand the limits and celebrate the iconography of the Star Wars galaxy through painting, illustration and graphic design. 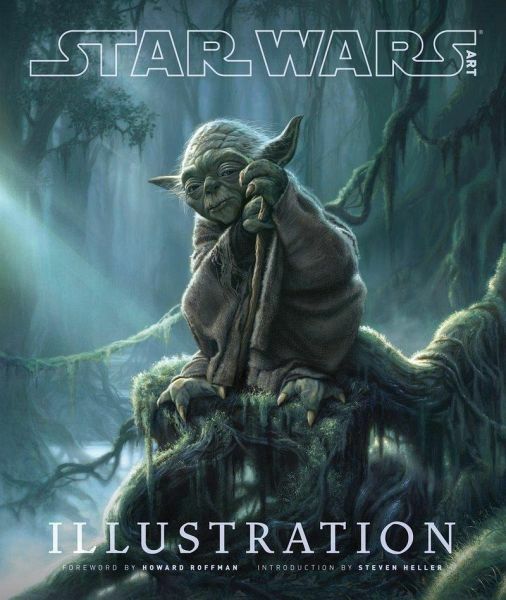 Now, the third book in the Star Wars Art series, Illustration, collects the very best of these artworks, as curated by George Lucas: more than three decades of book jackets; art from StarWars Insider magazine and role playing guides; limited edition prints; Topps' Star Wars Galaxy trading cards; marketing artwork from LucasArts video games and Lucas Licensing; and one of a kind works generated for collectible merchandise. 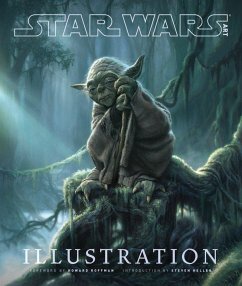 Featuring previously unpublished, rarely seen, or fan favourite art from John Alvin, Brett Blevins, Rick Buckler Jr., Dave Dorman, Tommy Lee Edwards, Hugh Fleming and many others, Star Wars Art: Illustration celebrates the wide range of styles, influences, and tones that illustrators have brought to bear on a galaxy far, far away.